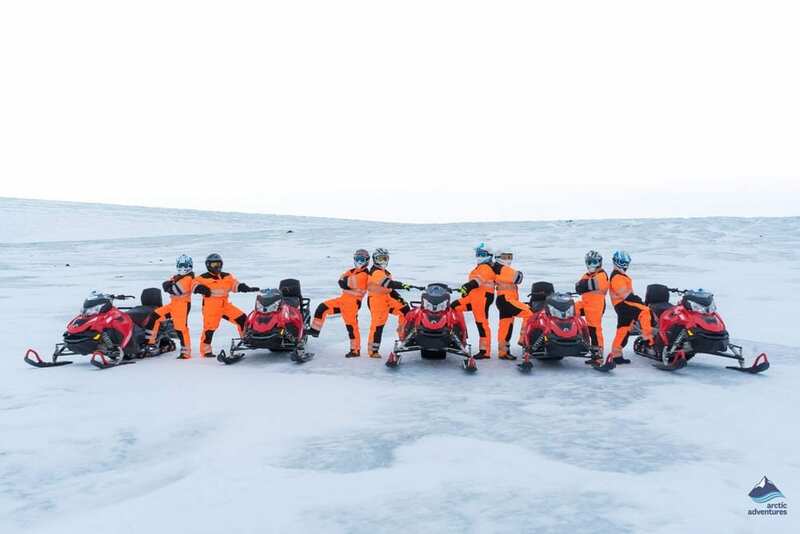 This Golden Circle and snowmobile tour takes you to the three famous Golden Circle attractions and adds an exhilarating snowmobile ride on Langjökull Glacier into the mix. This is the perfect tour for those who want to add some action on the ice to their sightseeing experience. 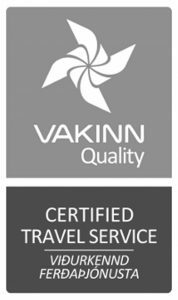 Pick-up: Your full day tour starts with pick up from your selected pick up location in Reykjavik at 08:30. Please note, picking everyone up can take up to 30 minutes, your patience is much appreciated. Join us for the adventures of a lifetime. 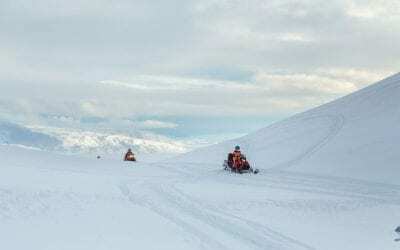 This tour covers all of the highlights of the Golden Circle and gives you the thrilling excitement of snowmobiling across Langjökull Glacier, the second largest glacier in Iceland. 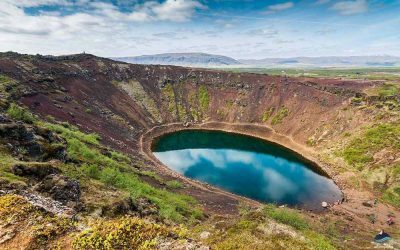 This small group experience starts in Reykjavík when we pick you up and whisk you through the beautiful countryside of the south on the way to your first Golden Circle attraction, Thingvellir National Park. We Icelanders spell it “Þingvellir”. This amazing place is listed by UNESCO as a World Heritage Site, due to its unique geology and exceptional cultural and historical value. 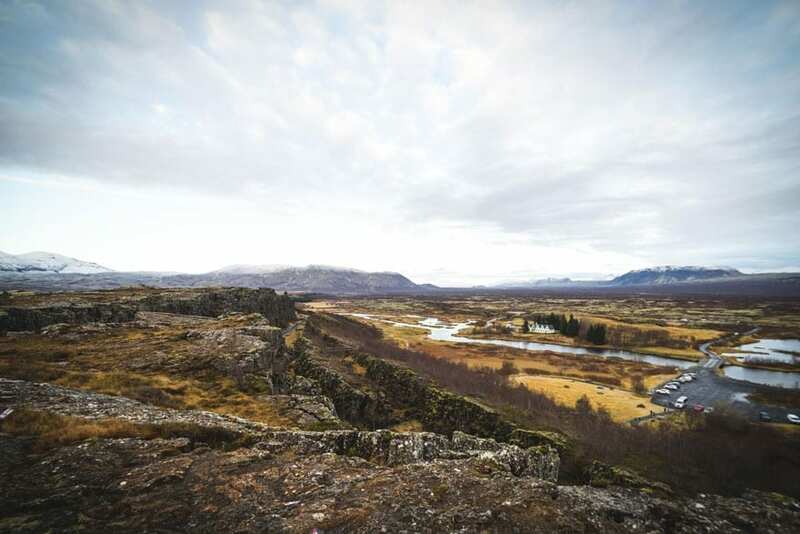 Þingvellir is situated where the Eurasian and North American tectonic plates have been edging apart, they continue to do this at a rate of around 2.4 cm per annum. As you might imagine the scenery is stunning, the Almannagjá Gorge runs right through the area, it was here beside the cliff of the gorge that the Icelanders founded their first Parliament, known as Alþingi, in the year 930. Many say this is the oldest national parliament in the world, beyond any doubt it is the oldest continuously existing parliament! Þingvallavatn, the Thingvellir Lake is picturesque with glorious scenery all around it. 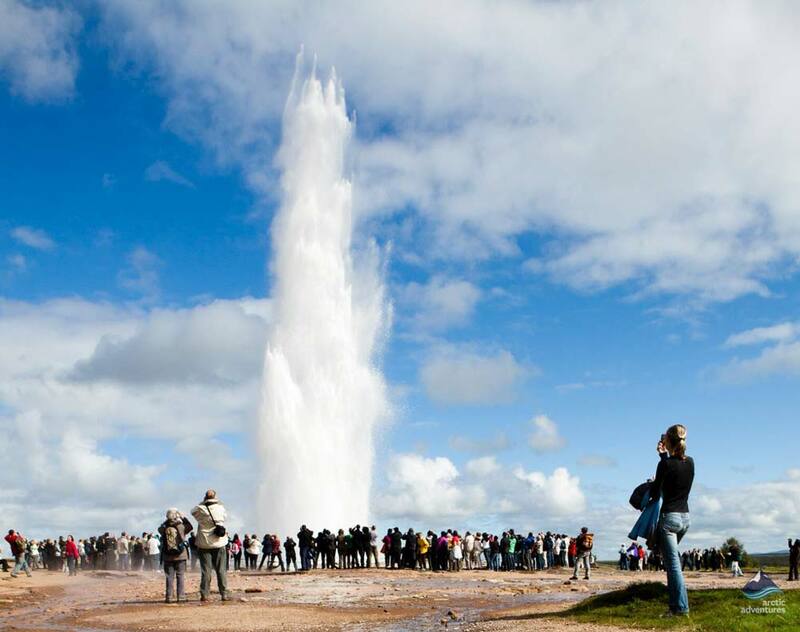 Your next Golden Circle attraction is Strokkur. Strokkur is an incredibly active spouting geyser at the Geysir hot spring area in the Haukadalur Valley, home to the now inactive Great Geysir. 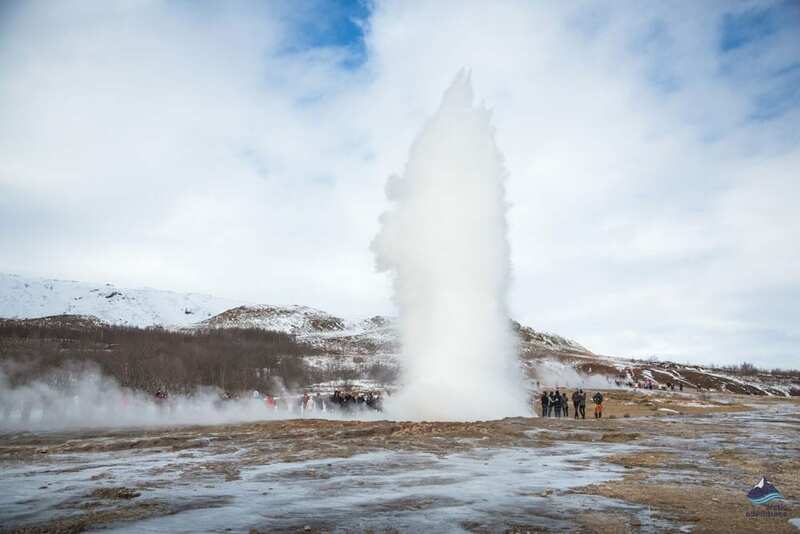 Strokkur erupts every 4 to 10 minutes so you never have to wait long to see superheated water blasted around 25 m high. Get ready with your camera! 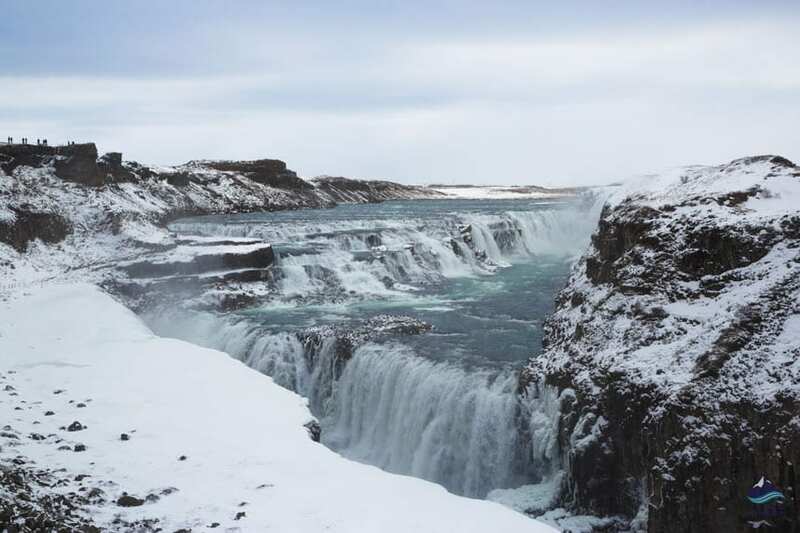 We journey for a few minutes to the final Golden Circle stop, the powerful Gullfoss Waterfall. The Hvítá River, originating at Langjökull Glacier, thunders through the canyon, dropping a total of 32 m in two sections and descending into a crevasse. You have the opportunity to buy lunch at a local Café (not included). We head up from Gullfoss to Langjökull Glacier (the Long Glacier), this is often called ‘The White Glacier’, glaciers are predominantly white, but the glacier you will be snowmobiling over is the whitest of them all! 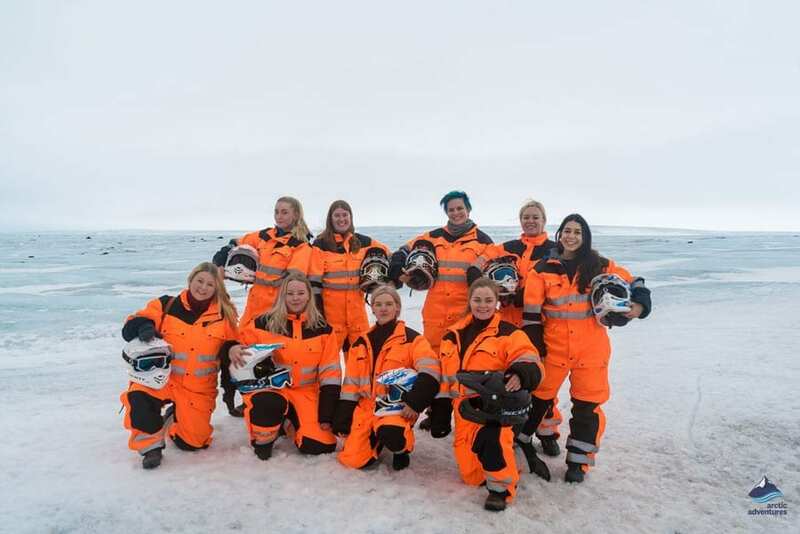 So get ready to switch gear in more ways than one, first, you put on the balaclava, helmet and suit, then you prepare for some action on the ice, roaring off to explore the white wonderland of Langjökull. Our experienced snowmobile guide will give you some easy driving instructions, and you will be skimming along the best snowmobile routes on the glacier. Your specialist guide knows them all! Experience the stunning vastness of Langjökull, surrounded by high peaks! After an hour of spine-tingling excitement and matchless landscapes we will drive you back to Reykjavík. This tour offers the adventures of a lifetime in a single tour. 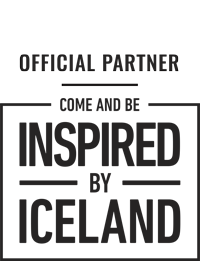 Sign up today and do something you have never experienced before! 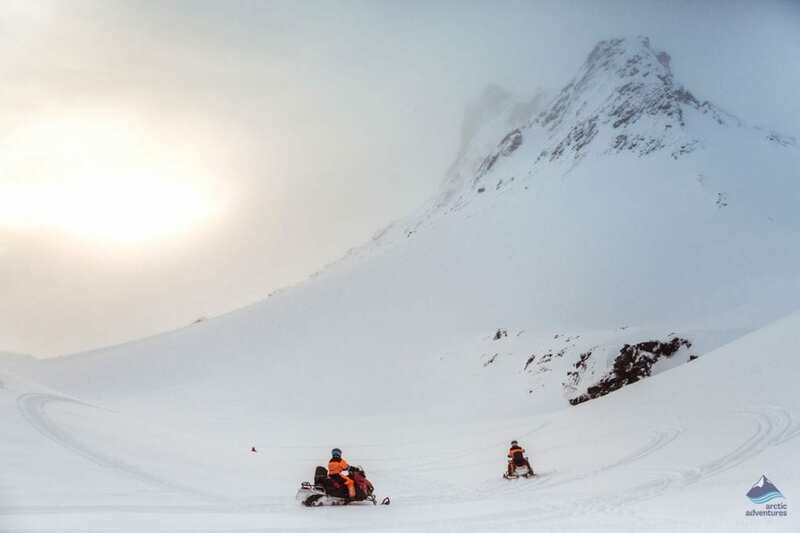 The price of the tour is based on two people sharing one snowmobile. If you are a solo traveler or prefer to have your own snowmobile then you can, of course, upgrade to a solo snowmobile for an additional 6000 ISK per person. Remember to bring: Warm outdoor clothing, thermal underwear, waterproof jacket and pants, headwear and winter/snow gloves. Good hiking shoes are also highly recommended. We recommend that you bring a packed lunch along as well. The price of the tour is for one person when sharing a two-person snowmobile. 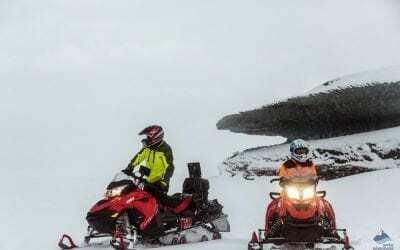 For solo or odd number of bookings you must book a solo snowmobile for 6.000 ISK extra. 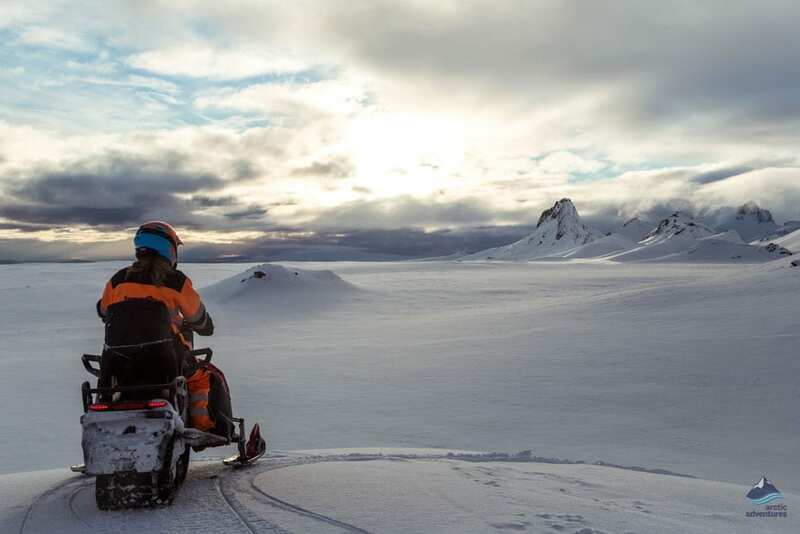 If you wish to have a solo snowmobile but do not have a valid Driving License then you can book an extra guide to operate your snowmobile for an additional 40.000 ISK. Please contact our sales desk for further information and booking. A valid Driving License is required to operate a snowmobile. The first impressive start point when we were picked-up by a super big jeep. 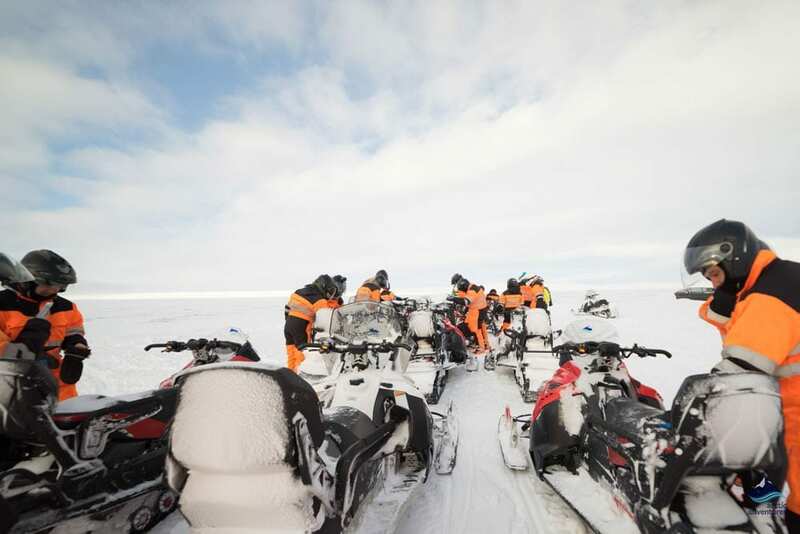 We take the Golden circle tour and snowmobiling. The guide was the best story teller we ever met. Everything was just amazing. My guide was very good! He made the difference! 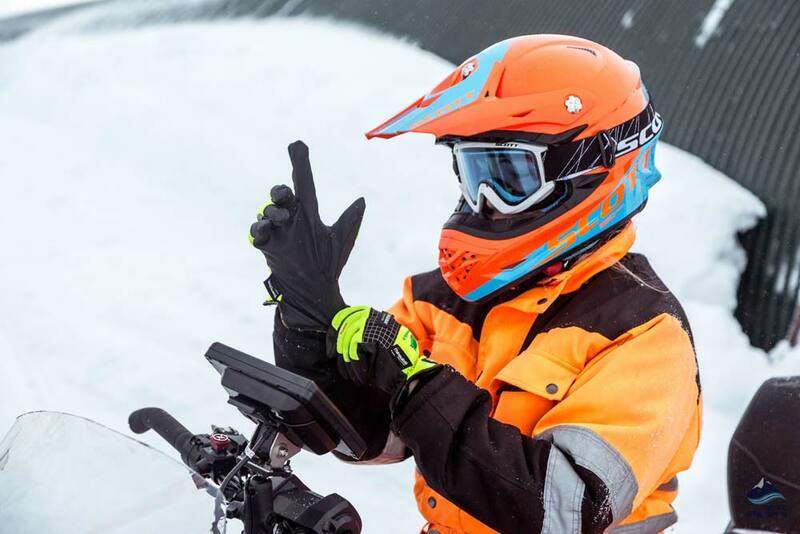 Thank you very much to Kuba and the other one on the snowmobile?? I love it, love it, love it! I never imagined Iceland the way the tour guy show us. Amazing! Incredible! Loved every minute of this tour. The snowmobiling was the icing on the cake indeed! Our driver/guide Arni was very good. The other guides for the snowmobile ride were awesome as well. Arni regaled us with stories and laughs; a great driver, too. And, loved his blue eyes! I would highly recommend this trip. Would do it again! Many Thanks! Good service, pick up in time. Clean and comfortable vehicles. Great guides and very professional. I booked the snowmobiling and golden circle tour for myself, my 13 year old son and my daughter and boyfriend who are in their late teens. 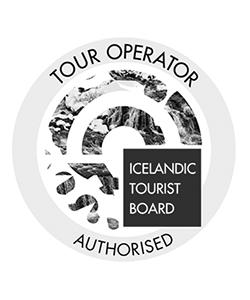 I was initially worried about paying the extra cost compared to just the Golden Circle tour but decided to go for it as I knew it had the potential to be a great experience. It didn’t disappoint. My teenagers loved the thrill of being on the Snowmobile and the big ‘mini bus’ made what could have potentially been a ‘ok’ day looking at the sights to a truly memorable one. Thank you to our guide and the rest of the team for making the day run smoothly and giving us a great time. 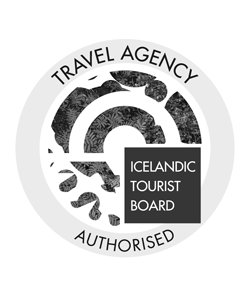 I’m hoping to return to Iceland for the summer experience either next year or 2020 and I plan to book all my excursions with you. I have done a trip advisor review as well to recommend you to others. Our tour guide, Martis, was amazing! She drove our monster Jeep like a beast. Coming off the glacier in a blizzard, with multiple inches of new snow on the road, she drove off the road, because it was indecipherable from the land. She laughingly declared, “Oops! I just lost the road!” Then maneuvered us back onto it as if she were driving on asphalt. The tires “popped off” twice during our excursion, and she spiritedly jumped out of the rig and popped them back on. She talked seamlessly, while navigating horrendous driving conditions. One man from England on our tour declared, “I’ll never make fun of women drivers again!” We experienced all kinds of inclement weather that Iceland could throw at us that day, and we felt 110% safe, in addition to being totally informed about Iceland. Martis is a goddess. She’s an absolute badass. Arctic Adventures is lucky to have her! From the moment we were first picked up in the morning to when we were dropped back in the evening it was an excellent tour. Our tour guide (Mardis) was superb, very informative and friendly. We would highly recommend using Arctic Adventures to anyone and would definitely use them again. Thanks for a great experience!!! Amazing tour! The guide was great and made sure we had plenty of time at each stop. Brilliant day! Great day, James was fun and informative. Small group and flexibility was a bonus. Scadooing was amazing, we had brilliant family time. It was an excellent experience doing the all day 10 hour tour. Our guide and driver was informative and helpful, the weather was superb ( which makes a big difference ). It is better doing in a small tour group than the big coach parties pouring in and out of their transport. This was my birthday treat. Costly but very well worth it!